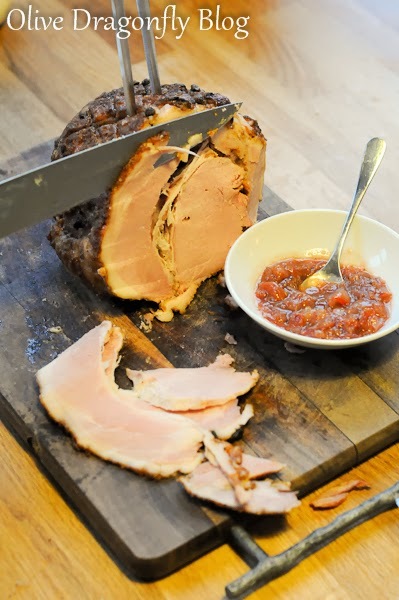 I absolutely love Christmas ham and usually make the Nigella Cherry Cola recipe with cherry glaze but this year fancied trying a cider based recipe so went searching on Google and found this recipe. I haven't made the chutney yet but the ham is done (actually mostly made by the in-laws while I was at work today!) We, of course, had a wee taste test and we're pretty pleased with it! 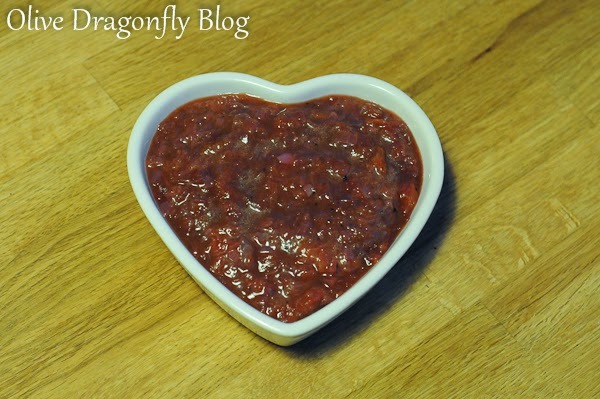 Full of flavour and lovely and juicy :) I adapted the recipe slightly from here and plan to make the beetroot as well. 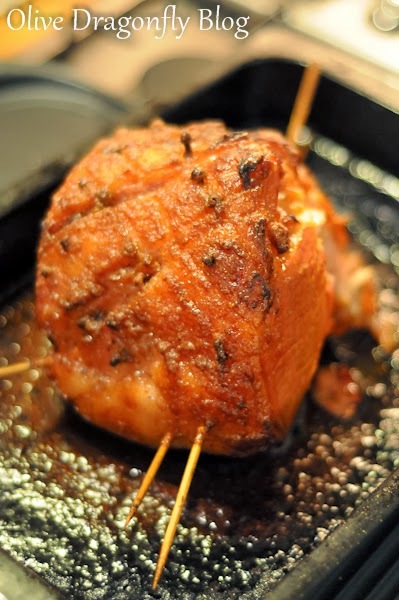 Soak the ham gammon overnight in cold water. Then drain and put into a large saucepan with the cider and apple juice and then top up with apple juice until you just cover the gammon. Add the onion, bay leaf and peppercorns and then bring to the boil. Skim the surface and reduce the heat. Simmer for 1 1/2 hours. Remove the joint from the pan, peel off the skin and mark the fat into diamond shapes with a sharp knife. Reserve the stock to use for soup . Preheat the oven to 220ºC/gas 7. Stand the gammon in a roasting tin. Mix the butter with the sugar, mustard and ground spices to a paste. Spread this over the fat. Press a clove into the corner of each diamond. Roast in the oven for about 15 to 30 minutes or until the fat is crisp and golden (we used skewers to stabilise it so it didn't fall over and the glaze mostly stayed in place). Remove and cool. In the meantime, make the chutney. 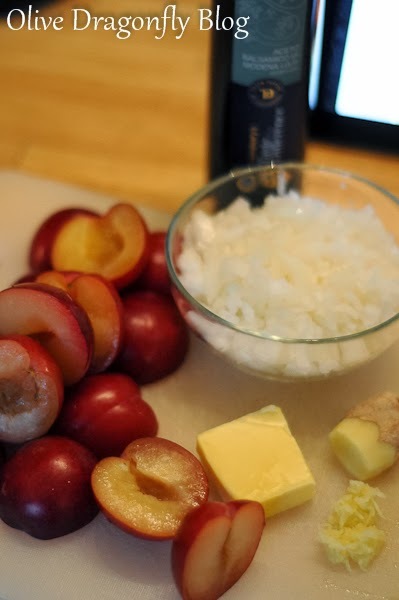 Melt the butter in a large saucepan and add the onion. Fry gently, stirring often, for around 5 minutes until soft. 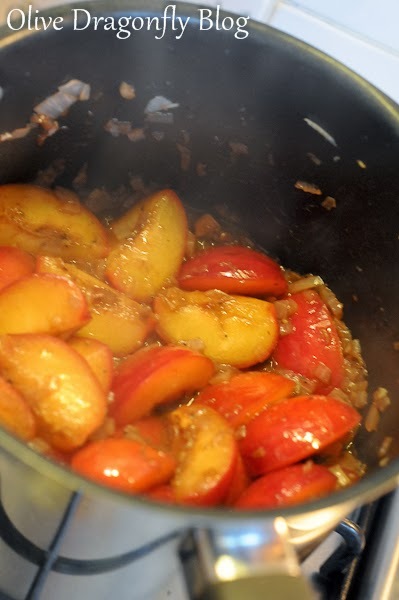 Now add the plums and the ginger and cook gently for 10 minutes. Add the balsamic vinegar and sugar to taste. Season with salt and freshly ground pepper. Set aside then warm through gently just before serving.